A common mistake property owners often make when looking for a new kitchen countertop is basing their purchase on the physical appearance or looks of the countertop alone. While a beautiful countertop is highly important, there are other considerations that are just as important too including cost, durability, ease of cleanup and practicality. There are surfaces like white granite that look great but simply isn’t a wise choice for families with many kids who might spill grape juice, jelly and other foods on them that will permanently embed in the surface over time. So you must consider your surroundings, the people who may be using these countertops when selecting your new countertop. 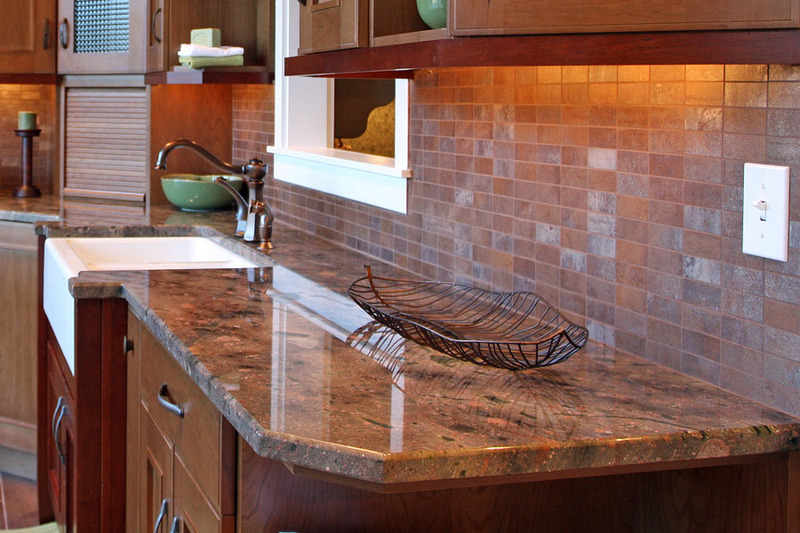 Natural stone can be beautiful and durable in the right kitchen setting. This category includes such great looking stones as marble countertops, limestone and soapstone. Natural stones are much more delicate than granite and requires sealing when installed and during seasonal maintenance. This is one of the most versatile and popular choices in countertops. 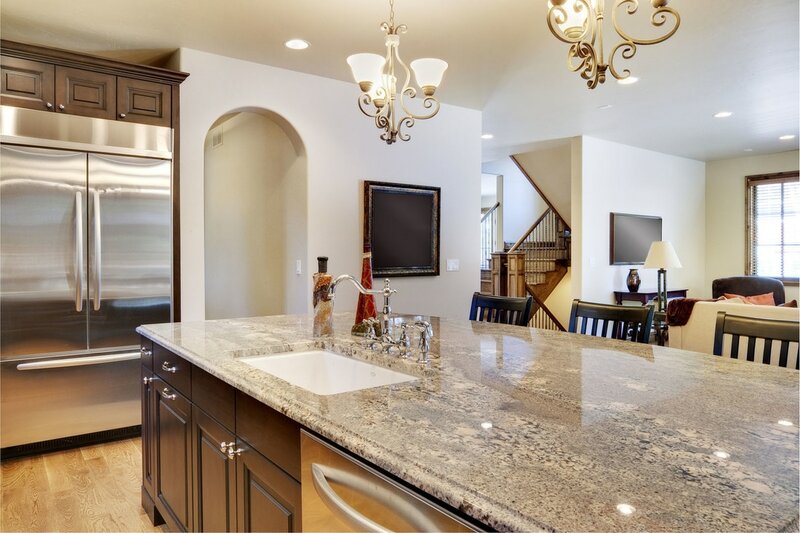 Granite countertops come in a wide assortment of colors and is available in two different styles of finish: polished and shiny, or a soft matte look. There are certain factors that may affect the variety of prices in granite such as the quality and source of materials. For instance, if granite used is imported from a foreign country, then the cost may significantly increase. It is best to set a budget if you choose to get granite countertops. These are by far the most durable countertop you can buy. They run in roughly the same price range as granite but come in a huge variety of colors. These countertops may even be indestructible. They are made up of 95% crushed stone, usually granite or quartz, and held together by a polymer resin. These are 100% man-made countertops that can be made of different materials. Most often they are composed of acrylics and polymer resins. They look great and are available in numerous colors. One of its downsides though is that it isn’t very durable in the kitchen. If in case you accidentally placed a hot pan on it, the countertop may be damaged. A lot of people tend to get a funny look on their face when you mention a concrete countertop but it’s amazing how good manufacturers can make these look. These are probably the most affordable countertops you can get these days. Concrete has the advantage that it can be finished in several different ways, have many different pigments added to it and can even have veining like marble designed into it. The downside to concrete is it can warp or curl over time and it has to be resealed in every 3 to 4 months. These countertops certainly have their place if you are trying to create a more traditional and homey look in your kitchen. Wood also cleans up easily and can be sanded and refinished. The downside to wood is standing water can damage it and it has to be oiled frequently to keep the surface sealed up. 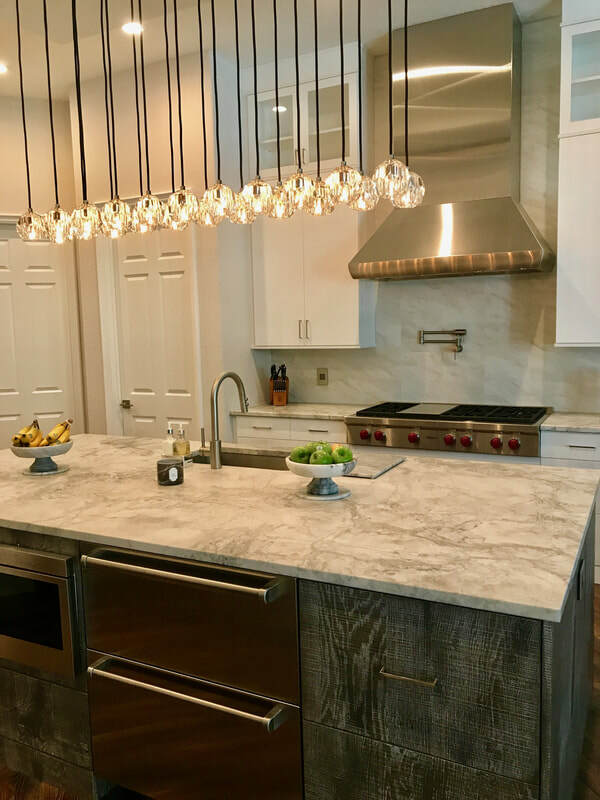 This type of countertop material is becoming more popular lately as manufacturers are making strides with its durability and scratch resistance. Part of its popularity is its very affordable price. It comes in a wide variety of colors and shapes too. There are so many things that go into choosing the right countertop. Even things like the shape of the edges can make a big difference in how your finished kitchen looks. It’s also entirely possible to have more than one type of countertop material in a kitchen and have it still look good. But more than its look, you must always consider how you will be using these countertops. To get the most value for your money, always choose function over anything else. 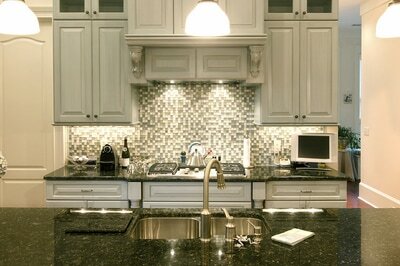 If you need more information or have any questions about countertop selection, consult with the experts at Stone World. Call us at 407-341-4688 and we’d be more than happy to help you out.